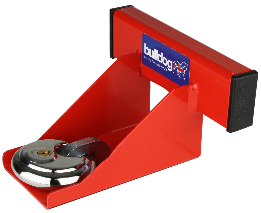 A simple solution to secure the contents of your garage and in some cases access to your home. Does not require holes to be drilled in garage door. Complete with 70mm stainless steel padlock.